together, like playing volleyball with the firemen, singing karaoke, and sunbathing at the levee, had brought us closer as a team and as a Volunteer family. However, a key component of Alternative Break Trips is that one must come back. Knoxville holds a piece of our heart, and it is crucial to take the lessons we learned in Greenville and apply them to our Scruffy City. As a whole, service becomes a necessary step toward Active Citizenship, and while we served in Greenville exclusively for the week, many of our educational experiences can apply to Knoxville's population experiencing poverty and homelessness. From the 'Sign Up to Serve' Calendar one to local Alternative Break Trips, our team realized that there are numerous ways in which we can invest into our city, in order to make it a more equitable and sustainable place. The memories will stay with us forever, but there is always more we can do as citizens of Knoxville, the nation, and the world. Our hope is that we have inspired action and empathy in our participants' hearts and in our own lives, so that the Volunteer spirit can stem from our campus and touch even the farthest corners of the globe. We woke up this morning torn between our smiles of service and our heavy hearts, for we knew that this would be our last day serving in Greenville. After our usual hearty breakfast of cereal and Nutri-Grain Bars we loaded into the van and departed to our final service site. 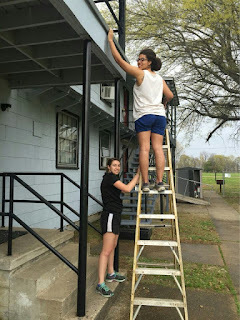 Once again we were serving with the Greater Greenville Housing and Revitalization Association, to help beautify and clean up the yards of some of their affordable housing complexes. We traveled to three different locations. The first we both planted flowers and mulched the planting areas with pine straw. The second location was a very short one in which only a few plantings were needed. At the third location we weeded around the shrubbery and mulched the new pristine shrub regions with only the finest of straw. As quickly as it began, our final act of service was completed. But wait! That was not the end of our group's journey. The dirty shoes were shed and the fancy clothes were grabbed as the group set on their way to a fun night out! The first stop was to once again see our old pal Mayor Simmons. We met him at the Simmons and Simmons law office for a wonderful meal of the world famous Greenville hot tamales. One member of our group had this to say about the hot tamales: "They were an experience." We were also treated with catfish, chicken, and for the vegetarian in our group, spinach dip. The second stop was at Dockery Farms, better known as the birthplace of the blues. We heard all about the history of the blues and were allowed to explore the grounds of the farm entrance. As we sat upon the same stage that Charlie Patton once began a genre, we heard his voice echo from the speakers around us. The third and final stop for the evening was more than an hour away from our home at fire station one. This wonderful land of great food and even better blues was the Ground Zero Blues Club in Clarksdale, Mississippi. Even though we arrived and left too early to hear the live music, the food was described by one member of the group as, "The greatest fish sandwich I have ever had in the history of time." The ride back to the station was filled with songs and laughter as we made every moment of our last night count. Upon returning to the fire station and changing into a more casual attire, games of mafia and heads up took place well into the early morning. As we drifted to sleep the thoughts of those we had touched, and more importantly those who had touched us, crossed through every mind in that station. Today was the first day that we got to interact with the populations that we are serving. We started the day by meeting Cynthia Hines from Delta 360, a program that helps Greenville students ages 11-18 to dream about the future they want for themselves. We then travelled to Coleman Middle School and talked with 6th and 7th graders about what it takes to get into college. We also discussed the atmosphere at a university and all of our unique opportunities that we have had as being college students. 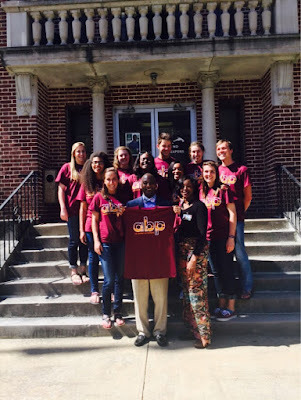 We then travelled to Greenville City Hall to meet with Mayor Errick Simmons today. We even gave him a t-shirt! Mayor Simmons just signed a 9.1 million dollar revitalization plan to bring development back to downtown Greenville. The plan is redesigning a historic building in the city's center. His greater goals are to bridge the racial and socioeconomic divisions within Greenville under the motto: One People, One Goal, One Greenville. 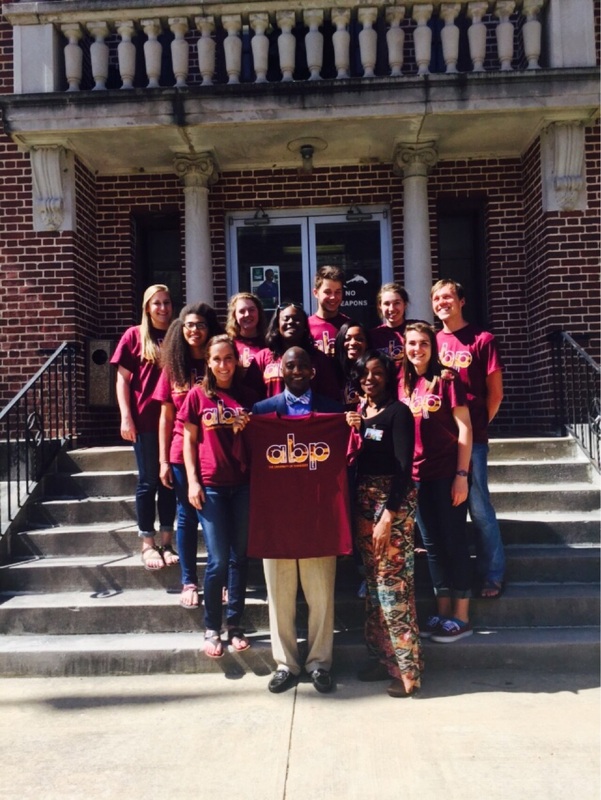 After visiting Mayor Simmons, the mayor’s office took us on a tour of Greenville’s History Museum. I think that is when it really sunk in how real the Jim Crow era was in Mississippi. For example, in 1927, during the Great Flood of Greenville when the levee broke, Blacks were not allowed to leave and were forced to flee to the levee and repair it. Moreover, Blacks were forced to wear a tags on their clothing that referenced the City of Greenville as if they belonged here and could not leave the city. On the other hand, many Whites fled to Memphis or Vicksburg. Many other events in Greenville’s history reinforce the marginalization of social stratification of its people today. Service in the Delta region is vital because of this! After learning more about the history, we stopped by the Boys and Girls Club of Washington County and played with some gracious and exuberant children. 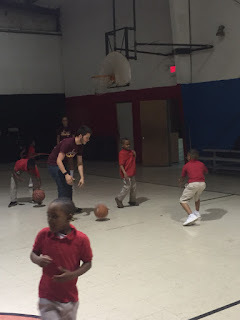 Some of us played in the gym with the children while others helped out with homework. Many of us developed personal relationships with the children! Just check out their smiling faces! We ended the day by crossing the Mississippi River and taking some pictures on the Arkansas state line. I love my group and I’m so thankful for them! Today, more than anything, we learned that we work well as a team and having a diverse service team is vital. Through each of our unique experiences, we can unite this community using each other’s personal strengths. And I’m learning much more about myself because of all of them. I think I’m finding myself through service. We're reaching the end of our trip! 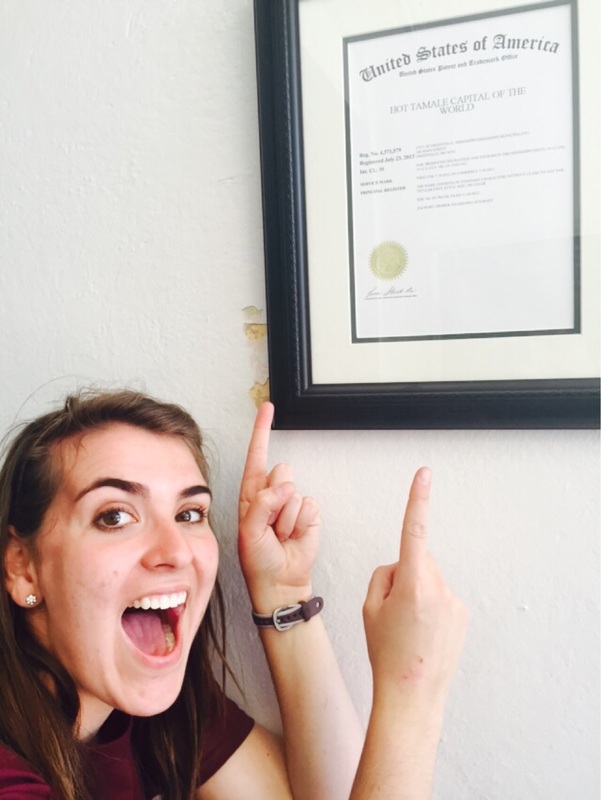 We've gotten to meet so many amazing people and do so much meaningful work for the city of Greenville. All of us have loved getting involved and working with such a welcoming community. This morning, we went to work for the Boys and Girls Club of Washington County again. 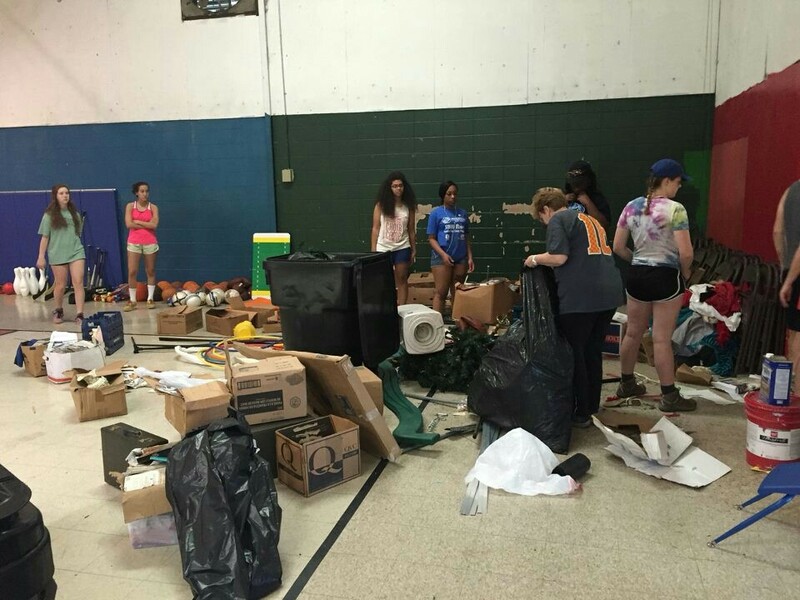 Our task today was to clean and organize a giant closet in the gym! We pulled out boxes and boxes of books, craft supplies, and other supplies for the kids to use. Unfortunately, we didn't have enough time to completely finish the closet, but we were glad to get some much needed work done for Ms. Joan Roe of the Boys and Girls Club. 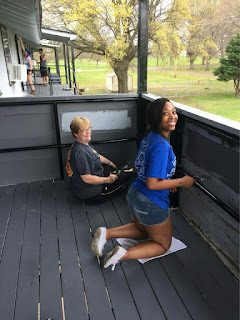 After taking some purged paper and cardboard boxes to a local recycling center, we headed to the WWISCAA emergency shelters to do some more painting for Mr. Wade. 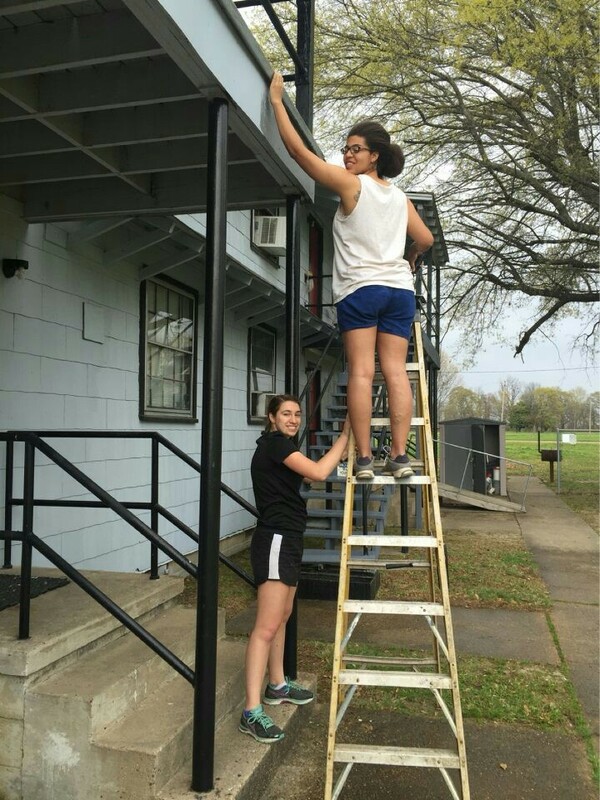 Today we worked on touching up the stairs we painted on Tuesday and painted another section of the food pantry on the site. Rain rolled in soon after we finished the painting, so sadly some of the paint on the stairs washed off. Even so, the stairs looked a lot fresher than when we started on Monday! This was our last day working at WWISCAA with Mr. Wade. We've loved working with him and everyone at WWISCAA, and appreciated their kindness so much! Before we left, we were sure to get a picture with Mr. Wade. After finishing up at the shelters, we returned to the Boys and Girls Club to play with the kids again and work a little more on the closet. We got a lot of work done on organizing the items in the closet and had some quality time with the kids for our last time at the site. For our rainy day, we had grilled cheeses and soup for dinner, quickly followed by a volleyball match with the firefighters we're staying with. After the firefighters won, we presented them with cake of appreciation we made them! Although today was rainy and we couldn't completely finish some of our projects, we still had a very productive and optimistic day. We were sad to have to say goodbye to some of the people we had been serving with, but their kindness and appreciation of our work made up for any somber feelings we had. We're all looking forward to our final day of service in the great community of Greenville! We began today at the Greater Greenville Housing and Revitalization Association. We went to a neighborhood and picked up trash, raked leaves, moved old tires, mattresses, and even TVs out of the area. We then planted roses and various other types of bushes and flowers around the neighborhood and made it look very pretty. Throughout our time cleaning up this area, the local news came and videoed, a local newspaper photographer came to take pictures, and other people involved in the community came to show their appreciation. We were on the 5, 6, and 10 o clock news (see video below). It was great to see how much the people of Greenville appreciate our work. We then went back to WWISCAA where we had worked yesterday. Today we painted three outside staircases along with other rooms in the emergency shelter. Once we got back to the fire station, we had a great time playing volleyball and basketball with the firefighters. They are thankful for our work to the community and are also a blast to hang out with! Today was a great day and we are so excited for what tomorrow brings. Carrying a mattress to be thrown away. 7:00 a.m. and the alarm at the fire station goes off and Day one of service has officially begun! I think everyone was on a service high so getting everyone up wasn't hard at all (we'll see how long that lasts!). We headed over to the Boys and Girls Club of Washington County and while we waited for our service coordinator, played a lot of cool ice breakers that allowed us to bond together and build our friendships. When she arrived and we went in, it was definitely overwhelming to see the condition the club was in, and getting to work right away was a must. Some of us cleaned out the rooms that were filled with dust, while others mopped the floors. 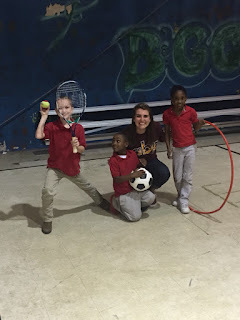 We learned how to be flexible today because of how low supplies were at the Boys and Girls Club. After talking to Ms. Roe, and figuring out that they only get to work with $160,000 for the year we saw how tight money was, and why it wouldn't go to things like a mop, when it could go to something they see as more useful, like school supplies. It was a blessing to see how grateful and thankful Ms. Roe and Ms. Hines were to have us there that day, because of all the work we did. Hopefully, we will be able to meet the kids later on in the week. Next we went to WWISCAA, an organization that helps all counties around the city in emergency crises. It felt like the perfect day to serve here because of all the flooding that has been happening and the amount of families that are probably in need. There we helped paint rooms that they would be moving residents into and the appreciation from the low staff there was incredible. It was so awesome to see how much they loved helping and how appreciative they were for us to help as well. Work has just begun as we are going back to WWISCAA tomorrow to help even more. I can't wait to see what else this week has in store for us. 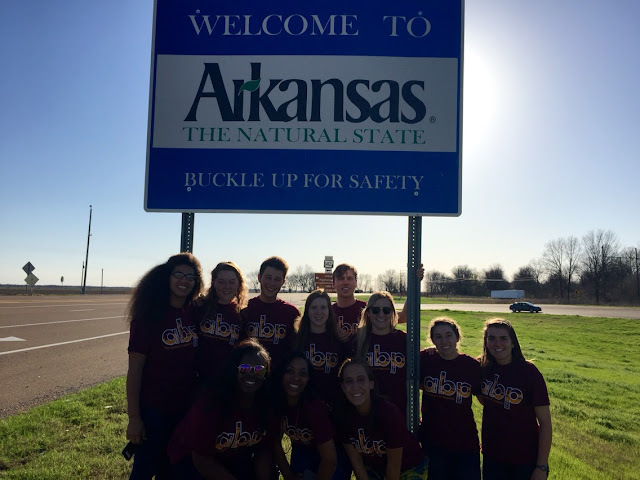 On today we arrived in Greenville, MS around 5:30 p.m. The ride here was not so bad and it did not seem as if we were on the road for seven or eight hours. Majority of that is probably because I slept almost the entire time haha. Anyways, once we got here we arrived at the fire station where we would be spending the remainder of our trip at. Before I go any further, I would like to say that the hospitality here is like none other. The firemen welcomed us with open arms and told us verbatim "make yourselves at home." It made the trip even more exciting to know that these people were happy that we were here. Once we got settled at the station we headed to dinner at a local church that had prepared it for us. Those people were the most wonderful people that you could meet. They also welcomed us with open arms and warm hearts. We were able to tour the church and we were even given a little history of the church. One thing that stuck out to me were the paintings that were in the windows of the church. Most of them were the original paintings dating back to the 17th century, which was something that I found really amazing. I honestly feel that this was a great way to start off the trip and when you start something off this great, it can only get greater. I am looking forward to a very interesting, fun-filled, everlasting experience this week in "The Delta".